Laura hasn't connected with her friends on Goodreads, yet. To ask Laura A. Zubulake questions, please sign up. Description: 12th Annual National Indie Excellence® Awards- FINALIST for New Fiction A tension-filled plot from the get-go, Zubulake's fictional Latin-American-ish setting lends plausibility to the ubiquitous corruption connected with opioids .... 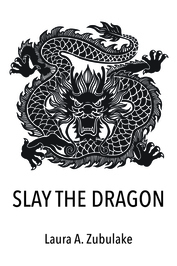 Kudos to Zubulake for producing Slay the Dragon, a gripping and provocative read. - Feathered Quill Book Review Verdict: Laura A. Zubulake's very human players, living, loving, lying and dying in her viscerally enthralling SLAY THE DRAGON .... – Indie Reader Book Review This is definitely the book for you if you like political thrillers that leave you thinking long after you’ve closed the book.- Literary Titan 5-Star Review Zubulake's writing is strong, and the narrative voice believable and compelling. - Booklife Prize THREE 5-STAR RATINGS FROM READERS' FAVORITES- visit LauraZubulake.com for details Slay the Dragon is a gripping and provocative political suspense novel set in Latin America. The story explores how corruption feeds into social ills and how leaders exploit these conflicts to cling to power. Artfully using fiction, the author exposes readers to the complexity of the opioid crisis and its impact on society. Description: Zubulake’s e-Discovery: The Untold Story of my Quest for Justice is a 21st century version of David & Goliath set on Wall Street that resulted in the establishment of landmark law. It is a story about perseverance, vindication, accountability, and justice. Visit LauraZubulake.com for more. We’d love your help. Let us know what’s wrong with this preview of Slay the Dragon by Laura A. Zubulake. We’d love your help. Let us know what’s wrong with this preview of The Runaway Jury by John Grisham.